Designing a deck isn’t always quite as easy as slapping a few boards together outside your back door. 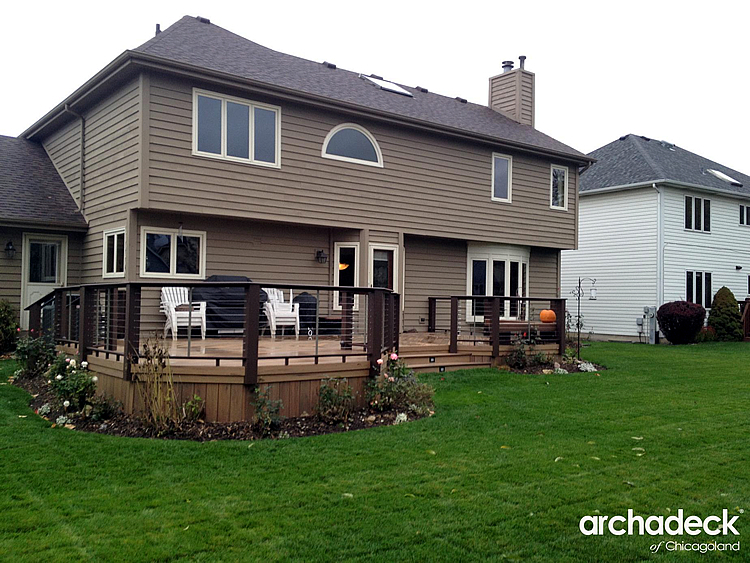 Just as homes come in all sorts of shapes, sizes, and with different design niches, so do decks. 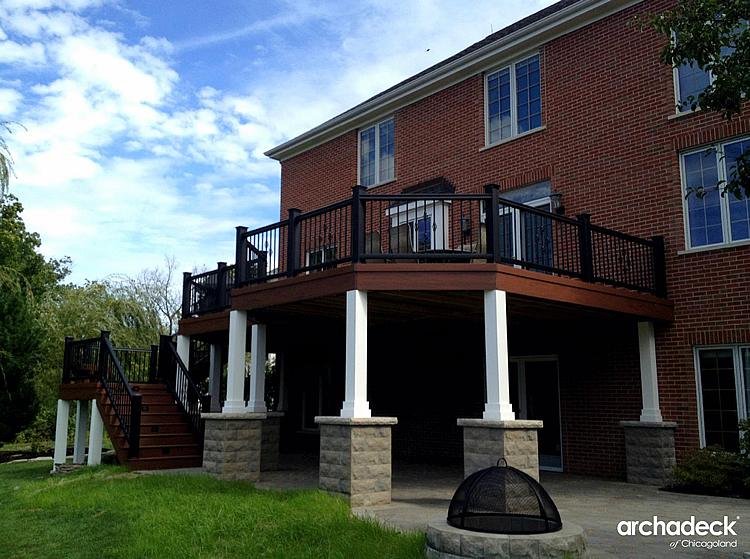 Here are a few deck designs we find many of our clients love. Have a small space but want to make the most of it? 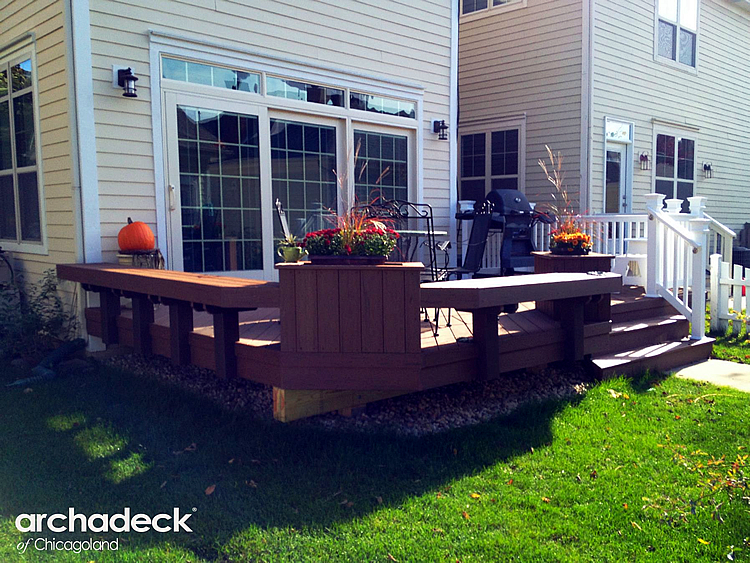 Floating benches are a great option for decks that are low to grade. They provide extra seating for when you’re entertaining, but leave plenty of space for your daily needs, like grilling and dining. Adding a built-in flower box or two also saves space by creating a space for your favorite blooms. No need to set out extra flower pots! Solid board skirting hides the framing beneath the deck while the pergola creates shade from the hot summer sun. 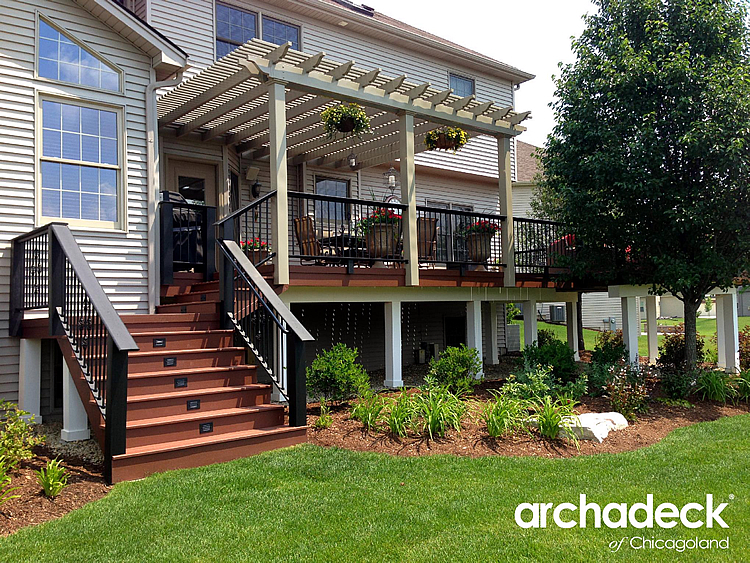 We are your trusted Chicagoland deck builder! 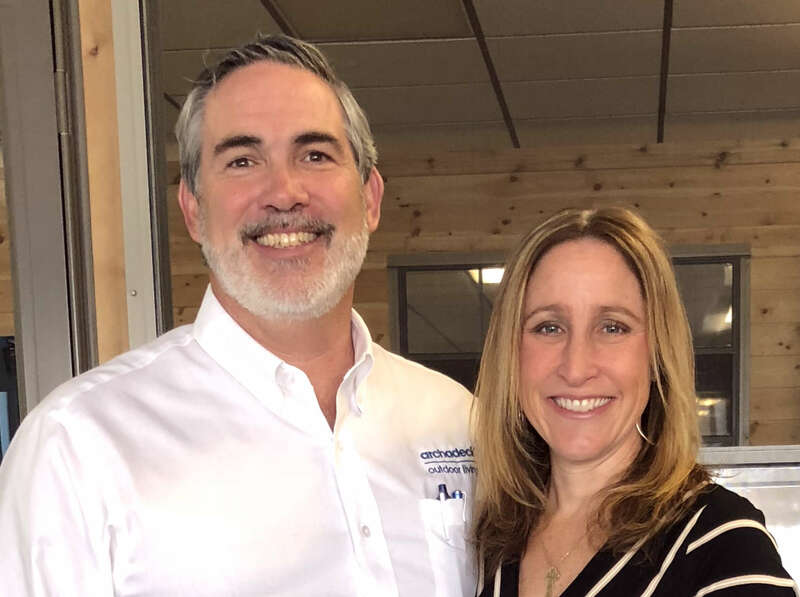 Aside from creating a stunning view, incorporating a fireplace into your deck design can extend the time you are able spend outside on your deck. Give your framing an attractive look with AZEK low maintenance post wraps. This option gives low maintenance deck a nice, finished look. Cable rails have a more contemporary look while opening the view. Lattice walls are great for climbing flowers and vines and can offer a bit of privacy. Perfect for small decks! Double the size of your outdoor living space by building a deck over your patio. 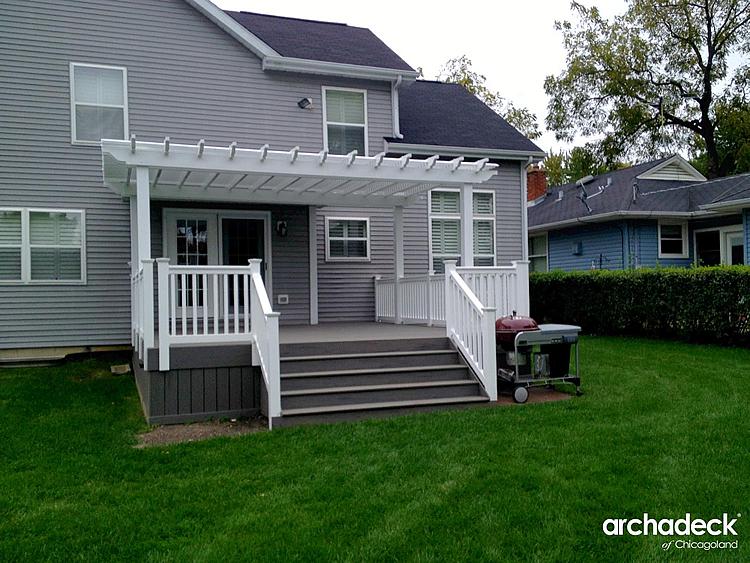 The deck will provide shade for the patio and the structural columns will give your space a regal look. 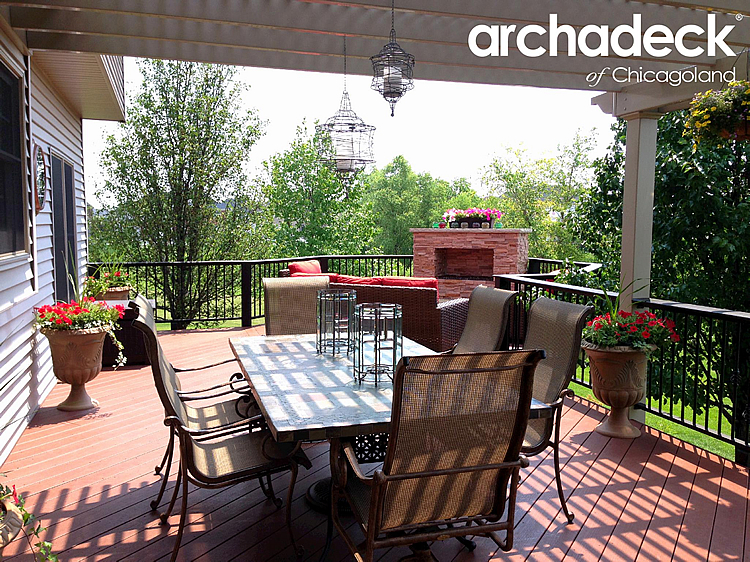 If you are ready to plan your new deck, Archadeck of Chicagoland is here for you! 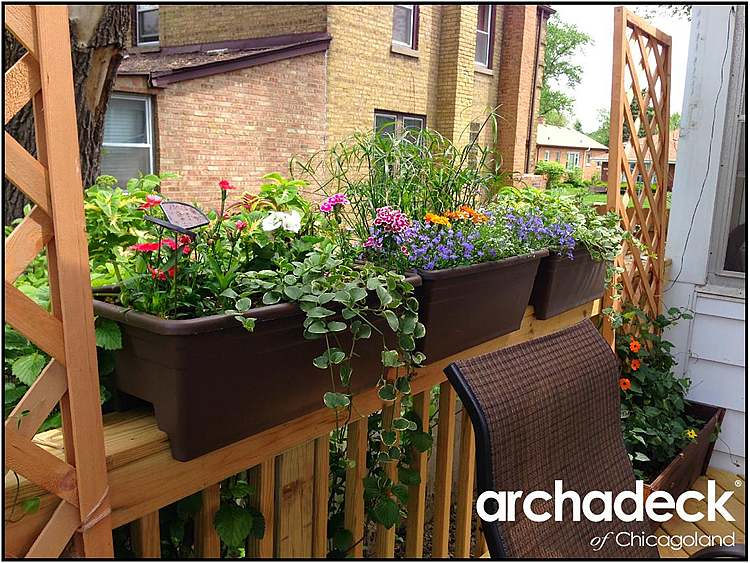 Sign up for a free design consultation or call Archadeck of Chicagoland at one of our design centers at 847-496-4333 | 630-505-7688 | 708-873-1990 to speak with a design consultant and begin creating your new custom outdoor living space.